Complete any or all of the following steps and leave a comment on this post for each entry. 1. RSVP here for the SiteWarming. 2. Comment on the Dr. Weigh Blog. 3. Tweet about Friday's SiteWarming on Twitter. 4. Blog about Dr. Weigh and comment with a link to your post. 5. Blog about the #KidsWeigh Wii Fit contest. 6. 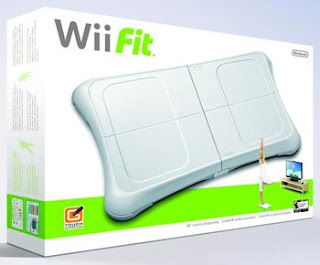 Enter the Wii Fit Contest - yes, entering to win a Wii Fit can help you win door prizes! 7. Tweet any time between Noon and 10 p.m. ET with the hashtag #KidsWeigh.